At the db San Antonio Hotel and Spa they pride themselves on offering families a luxury hotel in an idyllic location, with all the facilities needed for your family to have an enjoyable stay. That’s why they recently updated and refurbished their Kids and Teens Club, creating a wonderful facility where children and young adults can play and relax both outside and indoors. Available throughout the year the Kids and Teens Club has created a fun and friendly environment for children staying at the db San Antonio Hotel and Spa. They have a kids club with leaders for children aged 4-12 and a teen section. The facility is open every day throughout the week from 10am to 12pm and 2.30pm to 5pm. 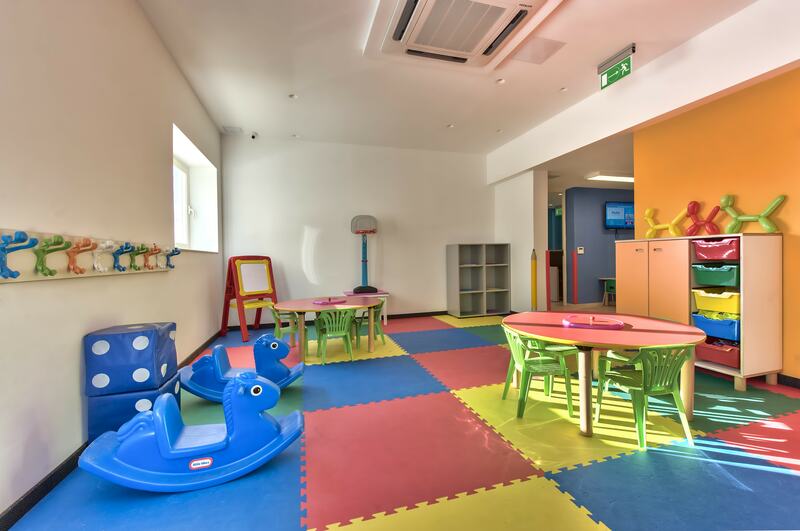 The inside options include a brightly coloured play area where kids can play games or with each other. 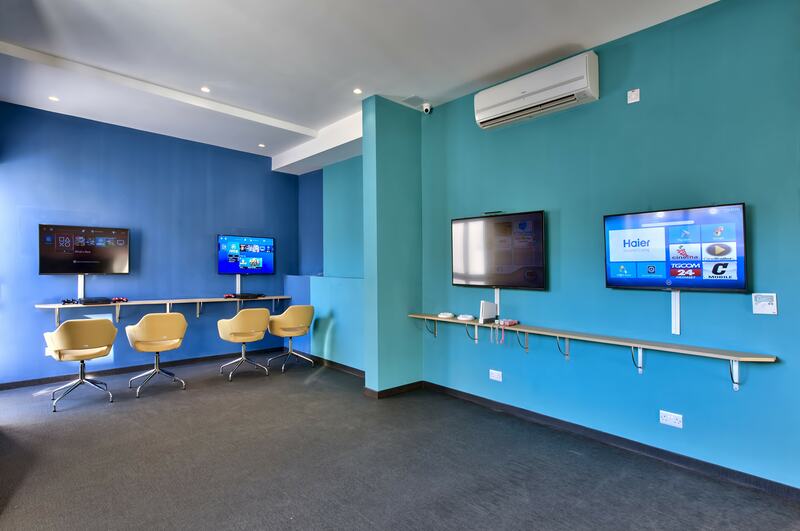 A great new addition to the Kids and Teens club is the brand new interactive room which is fully equipped with electronic products to keep your child amused. These include PS4’s, Nintendo Wii, Tablets and Smart TV’s. This is ideal for kids who don’t like to spend too much time in the sun. The warm weather all year around means they love to get outdoors and host a variety of Kids Club activities outside. The leaders have created a number of games which are played outside in the hotel grounds. They also have two great shallow swimming pools for kids. 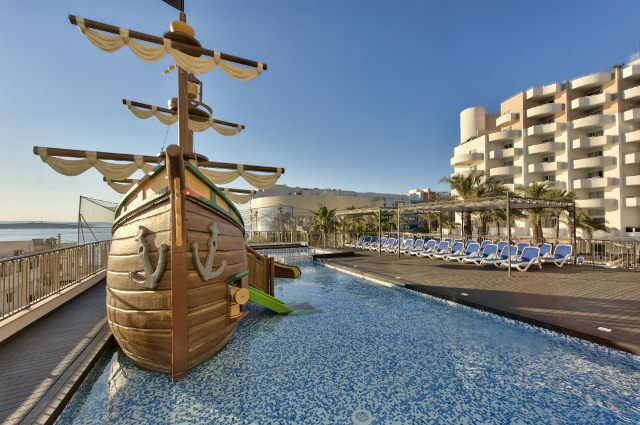 The larger pool has a large pirate with built in slides for children to play on. Take a look at the ‘photos’ section on the hotel main page for pictures of the wonderful kids area and pools. If you would like more details about the Kids Club you can find information under the ‘facilities’ section at the bottom of the main page.